First, you need to cultivate a brutal, raw honesty. You need to accept that not every power word, every emotional thought, every adjective-loaded sentence that flows from your hot fingertips is precious. I mentored many rookie reporters who had a cocky, almost swaggering pride at where their writing skills landed them out of college. A few weeks in a newsroom with a couple of crusty copyeditors exploded that attitude. Then, they were ready to listen. Objectively, unemotionally and dispassionately analyzing your writing is one of the most valuable skills you can develop to further your writing opportunities. And as a side benefit, you’ll also be able to handle scathing criticism from ruthless editors. Secondly, you need to develop an ear and eye for the flow of language. Good writing has a rhythm, that deliberate cadence the writer creates in your mind as you read. Marvel at the perfectly placed and exquisitely balanced use of illusion, surprise and metaphor, and crave to imitate it. Because if you don’t learn to appreciate the music and poetry in other writers’ work, you’ll never cultivate it in your own. Thirdly, you have an insatiable desire to learn anything and everything to improve your writing, the openness to accept constructive criticism and the commitment to sit with your bloated prose and edit until it sparkles. Yes, writing is a solitary craft. And learning to improve our writing can feel like solitary confinement without guidance and reassurance. We can learn from teachers, from workshops, from books, but ultimately success is up to us, alone with our notepad or laptop. Books that teach the mechanics of language – style, grammar, editing, etc. Books that teach structure – how to structure your thinking, your frame of mind and approach, and structure a story or other particular literary form. Books about being a writer – how to navigate the unique inner life of a writer. 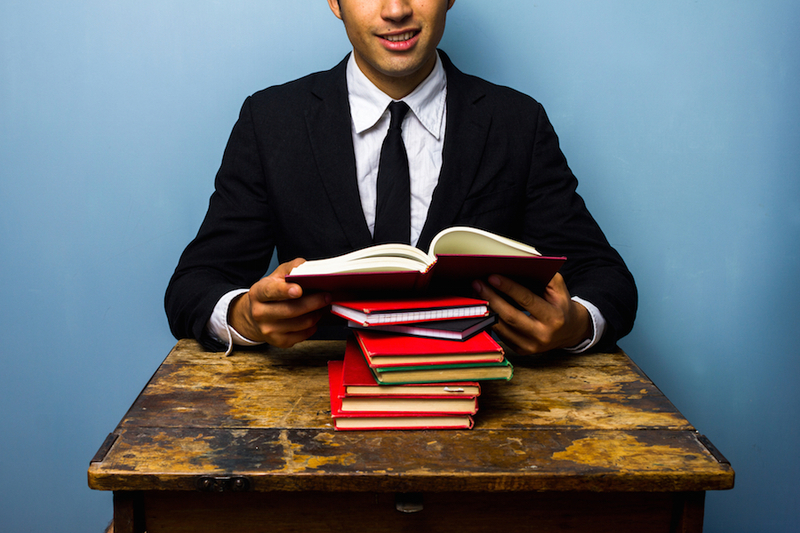 You’re a brand-new writer who felt an inner switch flip on, and now a river of ideas is pouring out of your head. You know your writing needs work – lots of work – but you are compelled to keep writing because you feel powerless to staunch the flow. And even if you could stop, you wouldn’t want to. Think of it from an editor’s point of view: A poorly written but well-structured piece of writing can be polished. A poorly structured and poorly written piece is a nightmare, and rarely worth the editing effort it demands. The writer doesn’t understand his topic, hasn’t thought it through with clarity and is clueless on how to engage the reader. You’re a decent writer and have lots of ideas, but you often aren’t sure where to begin. If you’re honest with yourself, your writing is okay with occasional stellar moments. What to read: Start with books on approach and structure that will help you think through your ideas before you put them on the page. Often, with good writers, the best writing happens in your head before you even jot down a sentence. If you’ve been writing in a certain style or format for a while — such as blog posts — cross train in another genre. (More on this later.) Study the structure of screenwriting, novel writing or poetry for six months or until it feels nearly second nature to shift into this new form. The change in your writing will be dramatic and permanent. Once you’ve improved structure and approach, pick one or two mechanical fixes to work on as you rewrite and edit with your new eyes. You’ve written a lot for a long time and have the mechanics mastered. But your writing experience has been centered in business, academia, medicine, law or other utilitarian venues. You’re ready to write fiction, or use the life lessons you’ve learned to help others through your blog, but you’re struggling to share your own ideas in your own voice. You recognize that your writing is solid, but it lacks warmth and sparkle. What to read: Immerse yourself in books about being a writer and the writer’s life. Leisurely read some writer memoirs, and you’ll be startled by how similar your doubts and struggles are. Try on a few silly new rituals, like writing poetry by candlelight or stream-of-conscious journaling in the pre-dawn hours to change up your point of view. Before we dive into our list of essential books, let’s talk briefly about the best way to use it. If one of these writing stages resonated strongly with you, jump down to our favorites in the three categories below and start there. If you’ve already read our favorites, you might want to read them again with a fresh mind and notebook handy. If you don’t feel you fit neatly in one of those stages, grab the book that excites you the most, right now, as you read about it here. The one that jumps up and gently taps you on the cheek like a hungry cat to get your attention. Start there and take the time to import the ideas and exercises into your current writing immediately. Thinking about it won’t make it so; you must put these concepts into practice. Even 30 minutes a day will make a noticeable difference in a short time. Think about this: in the next hour, you have the ability at your fingertips to tap into the world’s best books on writing and begin the next stage of your transformation – if you’re willing to make the commitment of time. The following books will make the difference, and each is around $10 on Kindle or less, so download and begin. 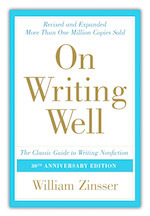 I was fortunate to find On Writing Well while I was working at my first newspaper and realized my editors, excellent grammarians all, could not teach me anything more about significantly improving my writing. This one book changed the trajectory of my career as a journalist from a mediocre, but promising, community reporter at a large twice-weekly paper to an international business reporter at a respected metropolitan business paper. Originally published in 1976, Zinsser’s tips on mechanics, structure and thinking have stood the test of time for generations of writers of all kinds. His principles are equally sound for today’s bloggers, fiction and non-fiction writers and any kind of digital publisher. What’s in it for bloggers: If you read only one book on improving the structure and mechanics of language, make it this one. An added benefit: You’ll learn a lot from Zinsser’s easy, conversational writing voice that you can apply to your own blog. 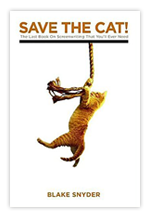 Save the Cat is essentially a formula book, focused on the structure of screenplays. It’s similar to Story Engineering (below) in that it explains the structure and elements of a screenplay, but is more approachable. Think of it as an introductory college course that teaches you the basics. You’ll learn the main story archetypes, how to structure a good screenplay, and more subtle techniques like how to create a character the audience loves almost immediately. What’s in it for bloggers: A blog is a performance and you’re the main character. Learn how to make an audience fall in love with you. Compelling stories are the undercurrent that propels successful writers and bloggers of all kinds. Whether you are writing blog posts, e-books, magazine articles or novels, having the skills to deftly tell a story will make you both memorable and in-demand as a writer. 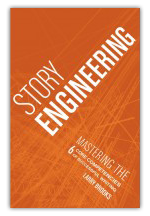 Story Engineering is like a master class in storytelling and novel writing. It focuses deeply on the six core elements – or competencies – of successful storytelling, screenplays and novels. An intense, comprehensive book, Story Engineering can help bring your writing to a professional level if you read and consistently apply the concepts in this book. What’s in it for bloggers: You can master the structure of a good story with this book, whatever topic, niche or length you write. And get all your questions answered about storytelling in one place. It’s worth the time and effort. While at first glance this book looks like it has nothing to do with how to start a blog or blogging in general, learning how to craft a compelling personal essay is the essence of what most bloggers struggle with today. Whether or not you realize it, you are parading yourself naked and drunk every time you hit “publish” in WordPress. 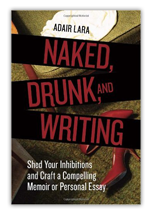 Naked and Drunk is about two-thirds biographical and about one-third writing lessons. It weaves together Lara’s personal stories with lessons on how to structure a memoir with lessons and language mechanics. This is the book you also want to read if you want to learn to effectively tell your own story. But don’t read it first. You need to understand the elements of crafting a good story to fully appreciate and benefit from the lessons in Naked and Drunk. Read it after the storytelling books. Read it after you read Save the Cat. What’s in it for bloggers: You’ll discover how to see beyond the label “blogger” and craft your story to touch the lives of readers. 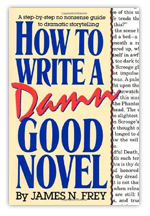 Damn Good Novel is similar to Save the Cat in that it offers a structure and formula for constructing a novel, but it’s filled with more principles of good writing and examples of excellent storytelling. If you haven’t figured out by now, structure and storytelling are critical skills to becoming a successful, or even merely competent, writer. The more you can learn about storytelling in all its forms, fiction or non-fiction, short or long, the more tools you have in your writer’s tool box. With tens of thousands of new blogs created every day, according to WordPress.com, compelling storytelling is the one proven method of setting your writing apart from the masses. What’s in it for bloggers: This is cross training in storytelling. Don’t guess, don’t try to make it up and don’t waste time reinventing the wheel. Learn it; then make it work for you. Title turn you off? Too money-grabbing for you? 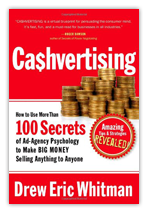 Skip this copywriting book at your blogging peril. Face it: Successful blogging is persuasive writing in another suit of clothes. It doesn’t even matter if you want to make money from your blog or not. You need to connect with people (through stories) and persuade them you have a message worth reading or products worth buying (through copywriting). Jon recommends this book for most bloggers because it has the most modern approach and best summary of the key points covered in the fundamental copywriting books. What’s in it for bloggers: Whether you’re a beginner or more experienced writer, take the time to learn what successful bloggers know about using psychology in your writing. 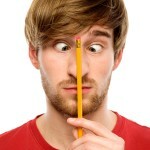 At least, it will open your eyes to how you respond to the persuasive writing all around you without even knowing it. Even if you’ve never read any of King’s gory thrillers, read this book. Then reread it at least once a year. 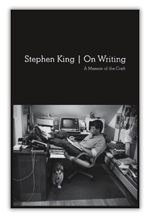 Very much a memoir, King uses stories of his wild childhood to illustrate the making of a writer. Besides memorable stories, you’ll get insight into structure, key takeaways on mechanics and his opinions on what’s important to writing and writers. You get to peer inside his head and see how his mind formulates those bizarre ideas and crafts unworldly plots. You’ll be both awed and inspired to suddenly see story elements all around you. What’s in it for bloggers: The craft of storytelling to engage readers and keep them coming back for more (from the author of more than 50 worldwide bestsellers), and how to constantly think about what your readers are thinking so you can crawl inside their heads and freak them out. 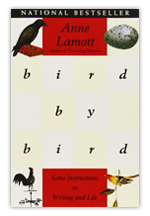 Lamott’s small book may be one of the best-loved on how to structure your writing frame of mind and the writer’s life. She so adeptly and invisibly reflects her thoughts and experiences back on the reader that you feel an intimate part of her personal stories – a rare and long-acquired storytelling skill. This is another book to read at least once a year. And along with King’s On Writing, to copy by hand on paper to absorb some of the rhythm, cadence and magic of these classics. What’s in it for bloggers: Lamott could be a role model and idol for bloggers who want to use their personal stories to illustrate fundamental truths about life. You’ll so resonate with her stories, you won’t even notice when she talks about herself. 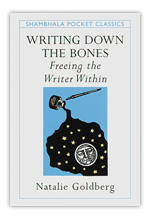 Goldberg’s fresh observations will reintroduce you to the wonder, magic, curiosity and excitement that lured you into writing in the first place. Although published nearly 30 years ago, Goldberg would be a hugely popular blogger today if she filled a blog with her Zen-inspired posts on how to be a writer, how to beat procrastination, the beauty of language and how to be focused and spontaneous at the same time. Back in my newspaper days, I read from the chapter, “Man Eats Car,” when asked to talk to elementary school classes about creative writing. Inspired by Goldberg’s example, I once wrote poems on demand for $1 during a church festival. Children stood there and stared at me, wide-eyed, as I wrote poems on their ideas – ballet, wrestling, the rain – in the pen color of their choice. What’s in it for bloggers: If you need something gentle to jar you out of your same-old same-old writing rut and inspire you to see the world with fresh eyes, read this book. Your writer’s education is never complete. And if you stay curious, the world is a generous teacher. Every day, your mental kaleidoscope is filled with images and impressions you can use to create mesmerizing stories. Books can bring structure and insight, but the constant search for exactly the right book keeps you from the job at hand – the act of writing. So call off your search and focus on the nine books mentioned here. To sharpen the tools of your trade? Grab Zinsser’s book. To get fresh inspiration on life as a writer? Pick up King, Lamott or Goldberg. To learn a proven approach to structuring your writing? Read Save the Cat. That you start is more important than where you start. So get reading. Pick a book and start. And then get writing. Because that’s what real writers do.